Remember when Rosie O'Donnell was one of the co-hosts of The View and brought in some of the network's highest ratings due largely in part to her arguments with Elisabeth Hasselbeck? Remember when being constantly pitted against Hasselbeck led to O'Donnell quitting the show in 2007? Well, ABC has officially confirmed that Rosie O'Donnell is returning to The View, so naturally this means a return to old habits. In Rosie's defense, the renewal of her feud with Hasselbeck is actually Hasselbeck's fault this time. "I know Rosie very well. We worked together quite closely," said Hasselbeck of the possibility of O'Donnell's return to the show during a phone call to Fox & Friends. "Talk about not securing the border. Here in comes to The View the very woman who spit in the face of our military, spit in the face of her own network, and really in the face of a person who stood by her and had civilized debates for the time that she was there." Ouch. The news that O'Donnell is returning to The View was announced on ABC's official twitter Thursday morning, though there's still no word on who is going to fill the third chair. Meanwhile, O'Donnell used her own Twitter to bash Hasselbeck for her Fox & Friends comments by responding to fan tweets about the incident. While it seemed like a good thing that O'Donnell would be stepping up to fill the void left by Sherri Shepherd and Jenny McCarthy's departure from The View , I was hoping that O'Donnell's reappearance would come with a little less controversy. 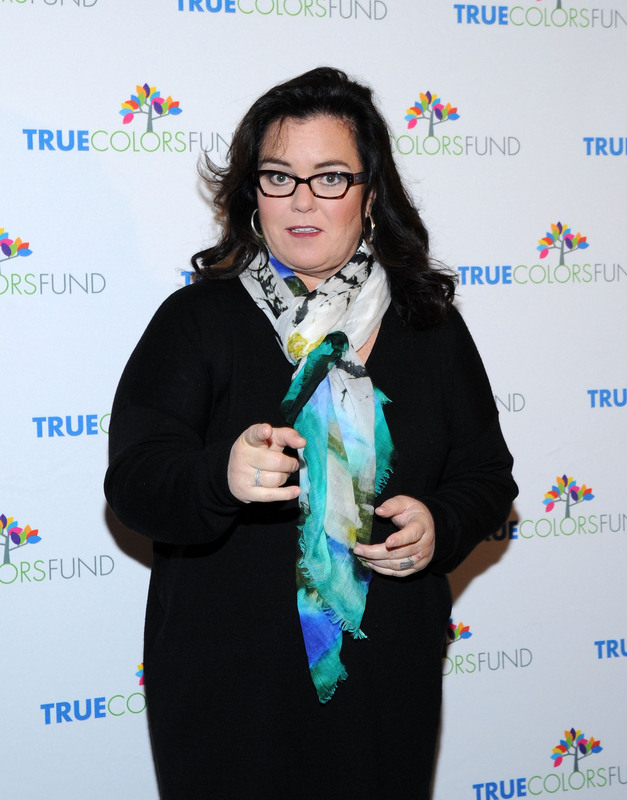 Admittedly, we might not have to worry so much about the vicious arguments sucking up screen time since Hasselbeck has since left The View for Fox, but the fact that O'Donnell can't even return to the show without attracting controversy doesn't sound good. However, it could be good news for the network. It was O'Donnell's propensity toward arguments that gave them such high ratings during her time on The View to begin with. It's depressing that people will apparently tune in just to watch two women fight against each other, but I guess we've learned that several times over from the media already. I still hope that O'Donnell wants to do things differently this time around and help host a less combative show, but she's not off to a great start so far.